Buy a house, they said. Do it while the interest rates are low, they said. Don’t wait, they said. Well, we did it. Not because of those reasons, but more because we found a house we liked. After the initial phase of being extremely overwhelmed, we entered what I like to call the why-would-anyone-buy-a-house-it’s-so-much-work-and-money phase. No one really told us about that. No one told us, that is, until we moved in. Then, everyone seemed to start in with their war stories. It’s similar to swapping newborn stories. Instead of mother-to-mother tales of how much one can accomplish on how little sleep, we had conversations with seasoned home owners who told us with steely, grim determination, “it’s normal for a lot to go wrong at first. It’s part of owning a house.” Especially an older house. First, there was just the normal expenses that come with a house. Some, if not all, windows will need blinds (unless you’re just really anti-privacy or something). Even the least expensive shades aren’t free. And then there’s the odds and ends that add up. A ladder. A new divider for the silverware drawer because these drawers are a different size. A rake. Whatever. I can deal with those things. Those things are only kind of necessary. If you need to, you can totally throw your silverware in a drawer without an organizer. It’ll work. You can get by with a chair for reaching high places (assuming your ceilings aren’t ridiculously/wonderfully high). You don’t really need a rake until leaves start falling, and you could theoretically have the kids play a “pick up the leaves” game. Theoretically. But it’s the other things that are more like a home-ownership sucker punch. Like when our washing machine stopped working three days after we moved in (it was fine, btw, B”H). Or when we discovered that a number of our windows are painted closed. Probably with lead paint, too. It’s kind of been three months of facepalm, honestly. 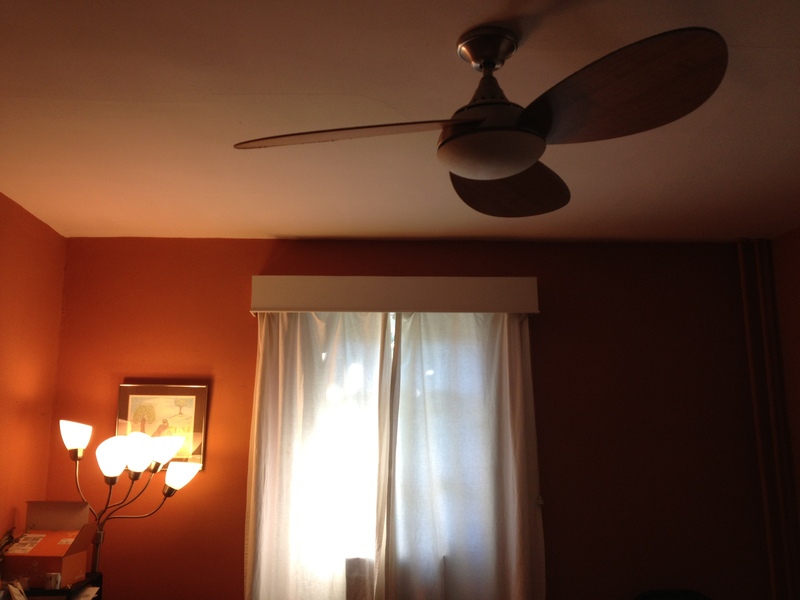 There was the other time when the nice light fixtures in the living and dining room both stopped working. 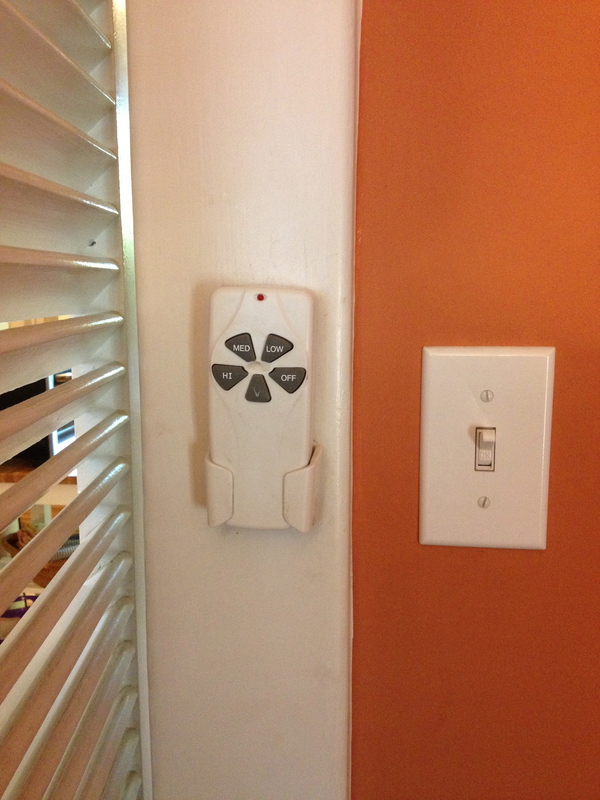 They’re fancy and have some fancy remote control thing to work them (my boys love those, so that’s a bonus). When we unscrewed the cover of the light fixture, the light source was something we had never seen before (it was not really a bulb, just a . . . gadget-looking thingy). We couldn’t even figure out how to remove it. It was like a mensa test. When we finally did get the thing out, my husband had to take it to Home Depot to ask someone how/where to find a replacement. This isn’t something you can get at Target (Maybe it is. I don’t know. It seemed pretty obscure at the time). The light in the living room works now, thankfully, but the one in the dining room is still purely decorative at this point. It’s not very high on our to-do list, so we just plopped a standing light in the corner and moved on. We’ll get to it eventually. 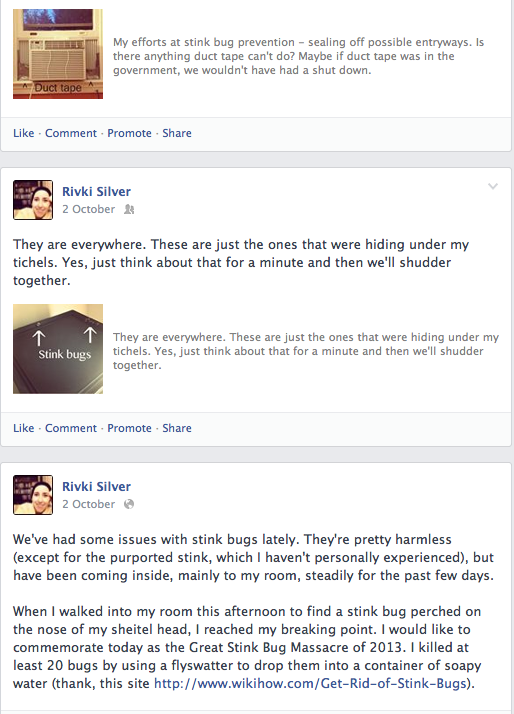 There was also the time when our entire upstairs was heavily infested with stinkbugs, especially my room. My room where I keep my clothes. And my sheitels. And my sanity. 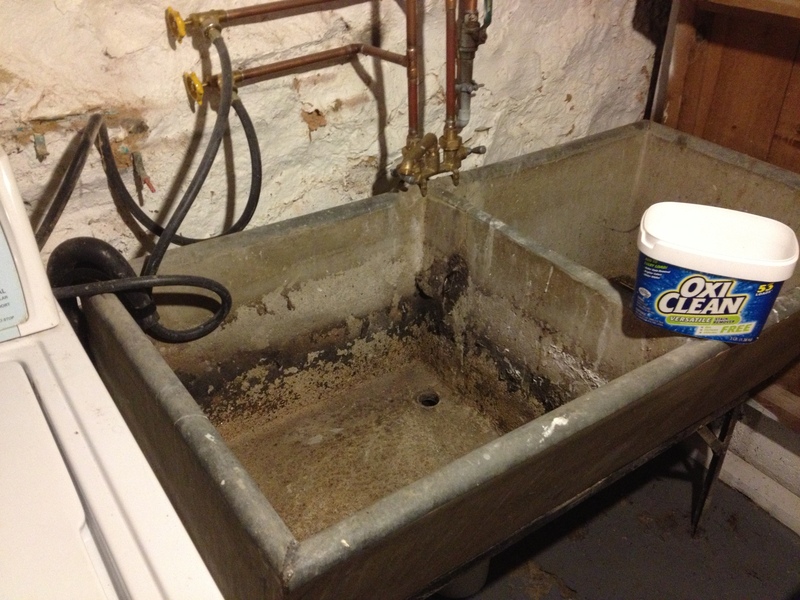 But the kicker, the real moment when I understood that owning a home is this beautiful dream that comes with an untold amount of mishaps and expenses, is when we had a sewage backup in the basement. One hour before we were leaving on a nearly two-week trip to my in-laws. A couple hours before we left, I went down to the basement to check on some last-minute laundry and I saw a large puddle. We’ve had puddles before (note to self: look into getting wet vac), and I had let the boys play with the garden hose earlier that day, so my initial reaction was to blame my children and ban the hose. I lay down the necessary amount of towels to sop up the water and turned on a rotating fan. Before heading up, I emptied the water from the dehumidifier into the wash basin and popped in the last load of laundry. An hour or so later, I went back down and noticed to my chagrin that the puddle was back. With a vengeance. I realized that the dampness must not have been from my kids’ antics, but maybe there was an overflow from the laundry sink? I had no idea. I put down more towels and noticed that the sink was fairly full and didn’t appear to be draining. Donning some latex gloves (this would be an incredibly beneficial choice in retrospect), I started to bail the water out of the sink into a tall trash can, using, ironically, an empty Oxi-Clean container. But then I noticed it. Something floating in the water. Something that looked like tissue. And something else that didn’t look like tissue. Gingerly, I lifted the container to my nose and took an extremely hesitant whiff. Yes. Sewage. Sewage in my sink. In the sink in my basement. What could I do at this point? We were leaving in a hour, and anyways, it was a Sunday so there really wasn’t anyone to call. 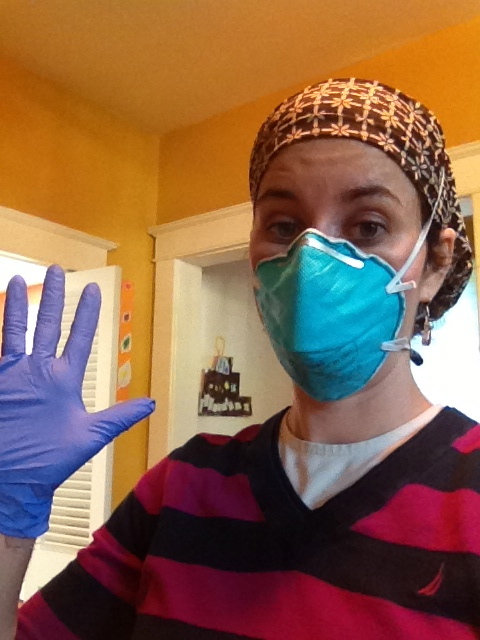 Shuddering and dry-heaving most of the way, I managed to finish bailing out the sewage water into the trash can. Pinching the sopping towels with my (still-gloved) fingertips, I deposited them in the washer and turned the dial to hot. Someone should invent a dial for sterilize, I thought. More shuddering. Gathering the remaining towels from around my house, I covered the considerable body of water which was murkily taunting me. Maybe a half-hour later, on a mission back to the now-smells-like-a-sewage-plant basement, I was shocked, SHOCKED to see that the puddle had spread. “How is this possible/No no no no no” was basically my thought process at that point. But the same grit and fortitude that had carried me through the Great Stinkbug Massacre of 2013 propelled me to get to the bottom of this mess. On my tiptoes (I don’t think I will ever be able to wear those shoes again), I proceeded as calmly as possible through the liquid (calling it anything else in my mind would likely have immobilized me), following the movement of the liquid to its source. Yeah. 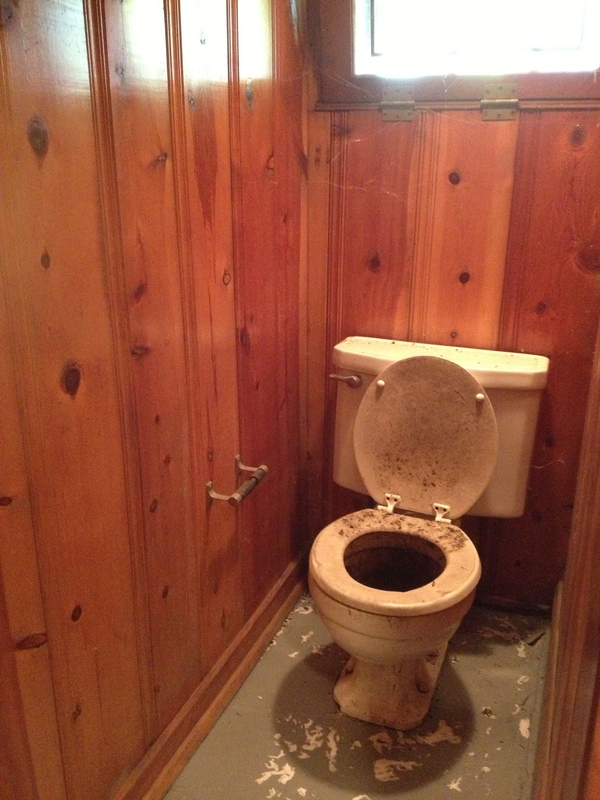 That nasty old non-functional bathroom in the basement, the one we laughed about in its impracticality? It was getting its revenge. Water poured from the bottom of the toilet, surging up from below in its haphazard journey to find an outlet. And that outlet was my basement. I started to laugh. Not because I’d snapped, but because the ludicrous situation had led to a breakthrough of sorts. Throughout my married life, I haven’t been a great trip-taker. I find them very stressful and have tended to be a bit of a cranky-pants for much of the traveling period (okay, understatement). It’s a little embarrassing to admit, but it’s something I’ve really had to work on. Once I compared the stress of traveling to the stress of dealing with a sewage-flooded basement, traveling didn’t seem quite so bad anymore. If that’s what it took to give me perspective, well, okay. I’d prefer a less messy wake-up call, but I will take this one. Absolutely. In the end, we had to do a lot of phone-calling from out-of-town, and we were fortunate to receive help from the man who had recently done some plumbing work in our house (thank you!). We learned that a city sewage pipe was busted near our house. This was great news since it means the city has to take care of it and not us. When we got home, the mess was mainly resolved. No more giant puddle. No more leaking toilet. There was, however, the tall trash can full of sewage water. I had to take care of that by taking smaller portions and flushing them down the toilet on the main floor (I used that Oxi-Clean container to fill a smaller trash can, in case you’re curious, which I’m sure you are. Who doesn’t want to hear details about the disposal of sewage? Am I right?). It was awesome. No. No it wasn’t. But it had to be done. All in all, even though there have been some crazy things we’ve dealt with in the past few months, we are happy with our decision. And I know that all of these problems pale in comparison to the more serious problems afflicting many people I know. Still, it does get a little overwhelming when it’s all happening at once! Do you have any war/horror stories from your home buying experience? If you don’t have a home, feel free to include landlord experiences. I could write a whole other post on that! Next Post Can A Mommy Foster Her Own Talents? Wow, Rivki! What adventures. 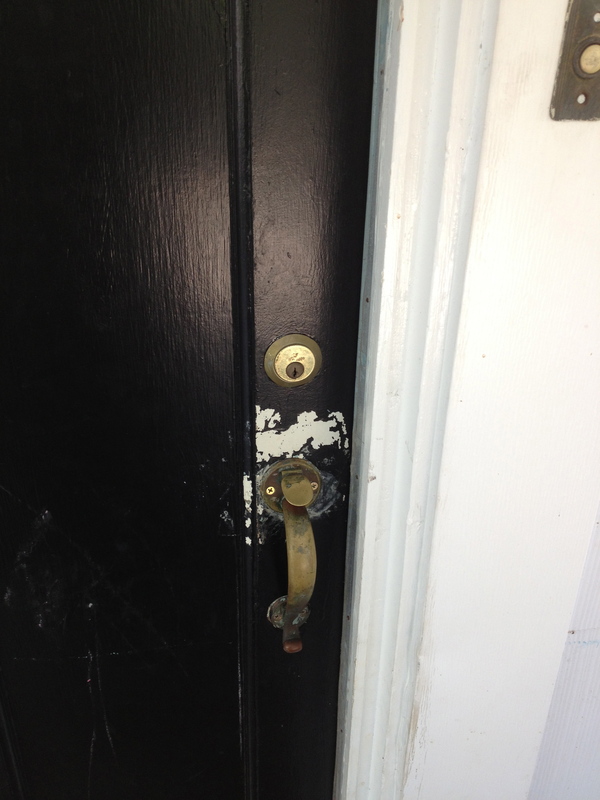 Yes, I have a horror landlord story. So 5 months ago was the 1st time ever I had to rent my own place to live for my daughter and myself. I felt so blessed when the landlord offered to keep the utilities on under his name which would save me a $330 deposit. After 3 months of bills that were roughly $400 (for a 2 room studio apt, minus washer/dryer), I had an electrician come to tell me what I was doing wrong. To my complete fury I found out the wires had been intentionally swapped with the house upstairs (I had the basement). So much for his kind offer. Went to the utility department with my report in hand. Indeed, the 1 person who was renting the 4 bedroom house above me had my utility bill of approximately $110 per month…..every month! My daughter and I moved out into a lovely 2 bedroom apartment a month ago, and are quite pleased. What an experience! I’m so glad you called an electrician. The nerve! May your new apartment be filled with only good things! :) Thanks. We can be sewage sisters! Wait, no, no, let’s not do that. And may it be a very smooth transition whenever/wherever it is! Love the mask picture. What a good point about home ownership and having kids and how people are all, “Best thing I ever did” and then “Oh, let me tell you how it is” only AFTER the fact. The mask moment is definitely going in our family album. It’s really gross, but I’ve been dealing with diapers for like, four-and-a-half straight years. I think it must have desensitized me on some level. Wow, you are one brave woman! I would’ve run the other way! We call our house “the money pit” but after reading your horror stories I’ll be grateful for the relatively small problems we have! Haha, I’m glad to offer you some helpful perspective. I’m hoping this is the worst of it. It’s really been one thing after another! How awful! I am so sorry – and I soooo feel you. I also just moved into my first house less than 2 months ago. I was delighted despite the quickly accumulating minor expenses… until one Friday night I hear a strange tapping noise…. And water is streaming down my dining room wall. I think we all know where this story is going. Three holes cut through my dining room ceiling and my upstairs closet later, plus ripping up my newly tiled bathroom floor (and let’s not discuss the money) the pipes are fixed and the ceiling is repaired & painted. Sigh. Oh no! I hope that’s the last of the big surprises for you! We actually had problems with the (rented) house we moved out of – including backing the moving truck into the front of the house. Ooops – there went our deposit. Oh no! I can’t imagine how frustrating that must have been! Last summer, Amanda and I decided to go downstairs and wrestle something out of this monstrosity for the next day’s dinner. We approached the freezer and threw the lid open and simultaneously screamed and ran for the door out of the storage room fighting each other to get through the door. She ran to the bathroom gagging and heaving while I ran out the door of the game room to the porch doing the same. We hadn’t pulled anything out of the freezer for at least a couple of weeks and in the intermittent time period the freezer died. Yes, died. A freezer full of: Maryland crabmeat, frozen fish Jim caught in Louisiana, meat, lots of meat. Rotten. Stinky, stinky Rotten. What did we do? Hah! Remember Jim’s traumatic accident? The residual effect of the damage to his brain has left him unable to smell or taste anything. So Amanda and I went shopping and Jim-who-has-no-sense-of-smell cleaned out the dead freezer. We bought a new upright freezer and Sears almost hauled away the stinky old one. Almost. As they were leaving our house with the freezer on the way to their truck, the crazy lady up the road stopped and told them she wanted it. Hah! They hauled the stinky vessel up to her driveway and left it and the last I know of it she was storing food in it for her goats. Yes, goats. Another story for another time. What a story! Wow! Yuck! I’m so glad that everything worked out in the end. And someday you’ll tell me about the goats. Wow, Rivki! I had no idea!! And I really can’t believe there are bugs called stinkbugs, or that they had the nerve to go anywhere near your sheitels. I didn’t know about them either, until I moved to this region. There was one under my sheitel (on the sheitel head) just yesterday. blah, grrr, B”H! Oy, Amanda, I’m so sorry! What is it with the city and sewage? I hope that it’s resolved very, very soon.